When it comes to lettering, calligraphy, typography or typeface design, only a very few do it like Ricardo “Itsaliving” Gonzales does it. He recently had a chance to connect with the good people at Krink Markers in their headquarter studio in NYC for a little fun session with some of their finest tools. Ricardo has humble beginnings studying at the Mohawk Collage in Canada and working for as a screen printer in Ottawa for a couple of years where he fell in love with the medium of calligraphy. That passion grew to something quite serious almost an obsession. On that got him to work with some of the most influential brands and businesses on the face of the earth. We have been on the road down under and our first stop was in Auckland, New Zealand where we got a chance to meet up with the infamous Askew One of the MSK and TMD crews. We had a nice evening checking out his studio and getting a chance to talk to the man himself about a lot of amazing topics. Check out a few images from our trip to his amazing studio in Auckland. 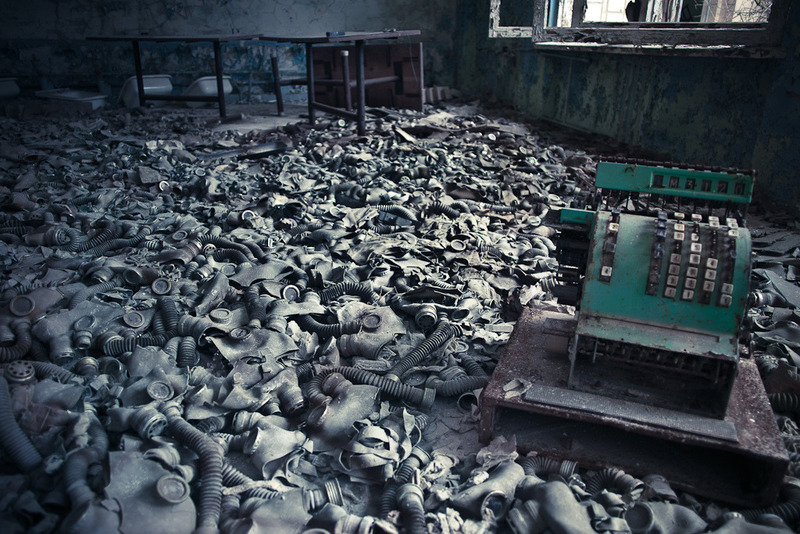 After the Chernobyl nuclear disaster in April 1986, the Ukrainian government created the Exclusion Zone, an area of restricted access meant to contain the degenerative effects of the radioactive fallout from the blast and a way to keep curious eyes away from one of the worst nuclear power plant accidents in history. However, despite a natural population that still persists to this day, tourists can be granted day passes to explore the irradiated ruins of Chernobyl and neighboring city Pripyat. Hélène DemiPoulpe Veilleux’s photo journal documents her travel into the Zone, uncovering the remnants of lives left behind in the two ghost towns, which still stand to this day as twin sacrifices to the alter of scientific progress. NYCHOS is increasingly becoming more and more well known throughout the international graffiti community and it’s undoubtedly well deserved. Here’s a video presented by Rabbiteye Movement of a solid interview with the man himself talking about the evolution of his practise and also taking a look at his working space in Vienna, Austria. Dabs Myla’s latest solo exhibition “All Good Things” opened yesterday in Melbourne Australia at Metro Gallery. Juxtapoz Magazine made a trip to their new studio for a sneak peek at what they’ve been working on. Fader got a chance to catch up with the infamous Steve Powers, who gave a little tour and run down of a new show coming up at Joshua Liner Gallery. Here’s a video of a studio visit with graffiti artist EWOK from New York. It’s nice to hear writers talk about real stuff sometimes and this is got it for sure.